One of the most attractive aspects of Connecticut’s Gold Coast is the region’s collection of unique and charming towns! Everyone knows that Greenwich, CT, is one of the best cities in the Northeast to visit. If this historic destination is already one of your favorites, why not take a day trip to one of the fantastic towns near Greenwich, CT, next time you visit? Here are just a few of the best New England towns perfect for a day of exploring. Enjoying the splendor of Greenwich and devoting a day to exploration is the best way to see New England. Before honing in on what might become one of your new favorite towns near Greenwich, CT, you’ll want to make sure your stay in Greenwich itself is filled with unforgettable experiences. For a complete, hand-picked list of the best things to do in the towns near Greenwich, CT, be sure to download our free Greenwich, CT, activities checklist! It’s the area’s best resource for planning memorable getaways. Geographically speaking, Stamford is Greenwich’s next-door neighbor. This quaint town is one of the most “up-and-coming” cities outside of New York City, so it’s worth a few hours of your time! We highly recommend visiting what the locals call “Little Manhattan” for its excellent restaurants, especially along Bedford Street in Downtown Stamford. There are also many exciting attractions, activities, and things to do in Stamford. Some visitor favorites include the Stamford Museum and Nature Center, Palace Theatre, and Avon Theatre. If you’re a fan of classic New England architecture with plenty of Old World charm, New Canaan is a great place to spend an afternoon. Here, you’ll see beautiful churches, a walkable downtown district, and a 19th-century train station. In addition to the scenic sights, there are plenty of draws for art enthusiasts! To begin your tour of artistic New Canaan, take a stroll down to the Philip Johnson Glass House, the studio where the prominent artist himself once worked. New Canaan is also a favorite spot for leaf peeping in CT and fall events like the Harvest Fest. 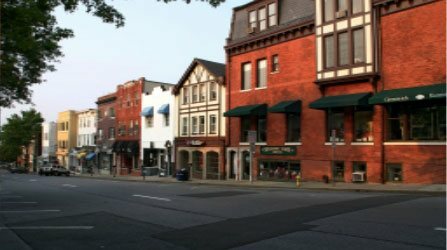 Another one of the picturesque towns near Greenwich CT is right over the border in Westchester County, New York. The area of Bedford includes three small cities: Bedford Village, Bedford Hills, and Katonah. All three are lovely places to spend an easygoing afternoon! Bedford Village features a classic village green in a downtown district that’s listed on the National Registry of Historic Places. Bedford Village is also near the Mianus River Gorge Preserve, one of the best small hiking trails near NYC and only old-growth forest left in the area. Katonah is an aesthetically pleasing town that boasts its own train station. Wander for a bit here, and you’ll discover the Katonah Museum of Art, a famous art museum and classical music venue. 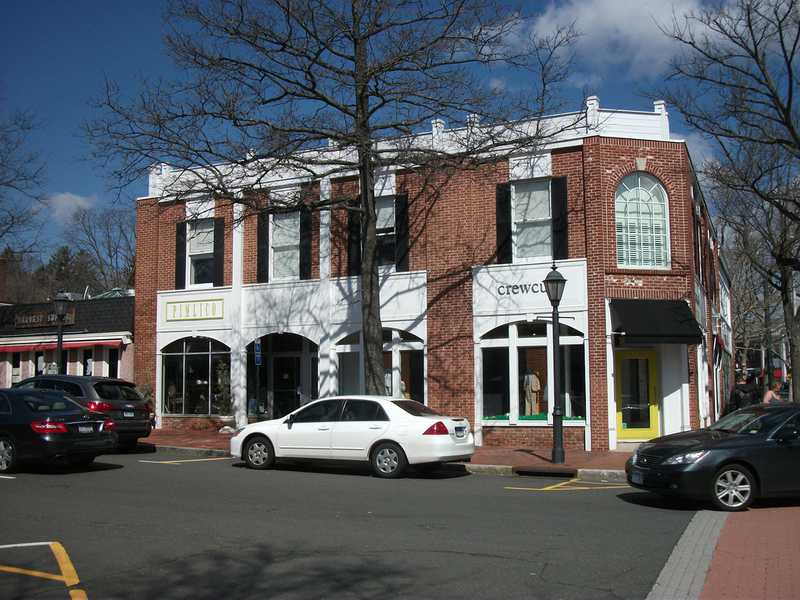 Stay Near All of the Best Towns Near Greenwich, CT! No place does classic New England better than Greenwich, CT. That doesn’t mean you can’t branch out and explore the other great nearby towns, though! Greenwich serves as an ideal jumping-off point for all of the area’s best destinations. That’s why there’s no better place to rest your head than Stanton House Inn! 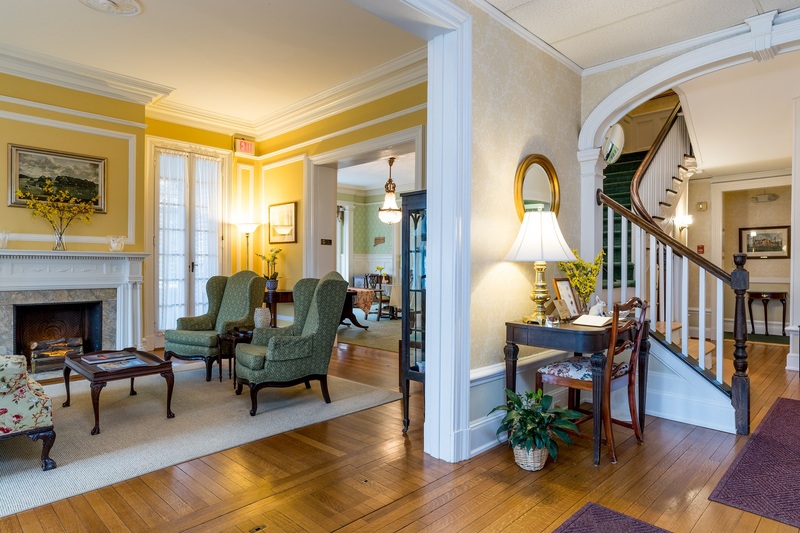 This historic bed and breakfast features vibrant and airy suites, plus plenty of premium guest services that will make you feel right at home. 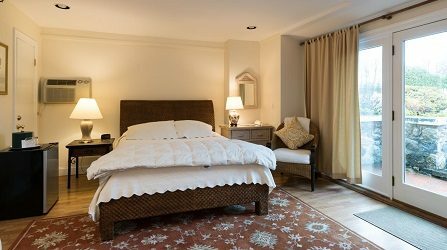 Select rooms feature luxurious details like fireplaces, clawfoot tubs, and views of the inn’s immaculate garden! 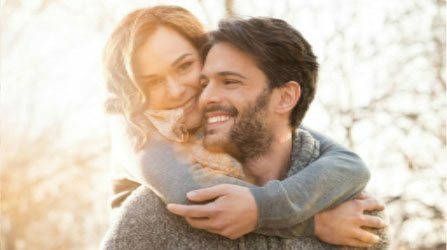 If you’re ready for a tour of the best towns near Greenwich, CT, book a stay at Stanton House Inn today! We’ll be happy to provide even more recommendations from our local perspective so you can make the most of your stay. Happy exploring! Why Greenwich, CT Is One of the Best Weekend Getaways near Philadelphia — What Are the Best Free Things to Do in CT This Weekend?